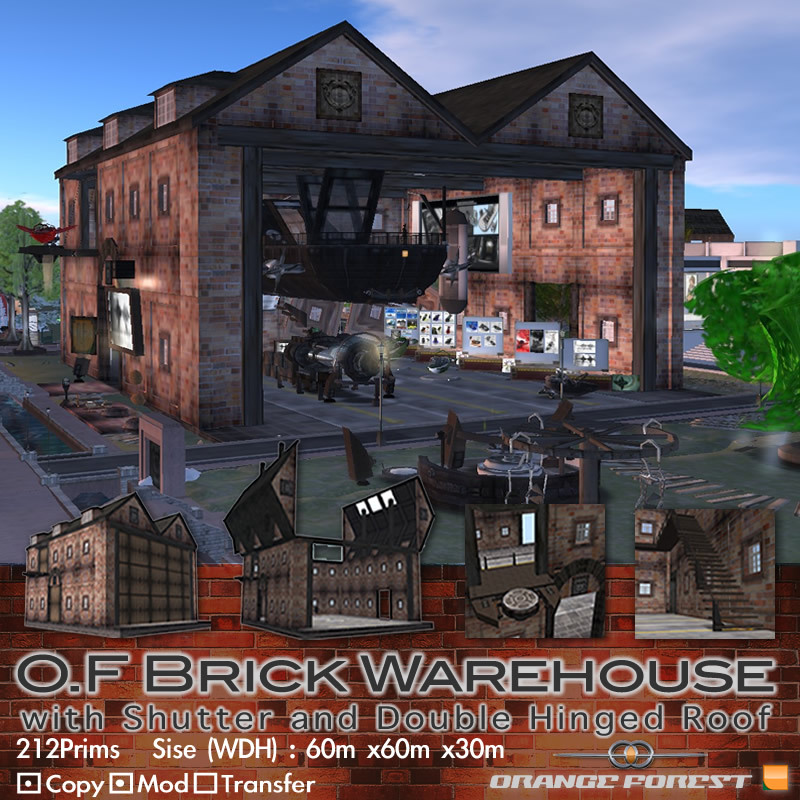 Hello, Orange Forest finished developing and released O.F Brick Warehouse. 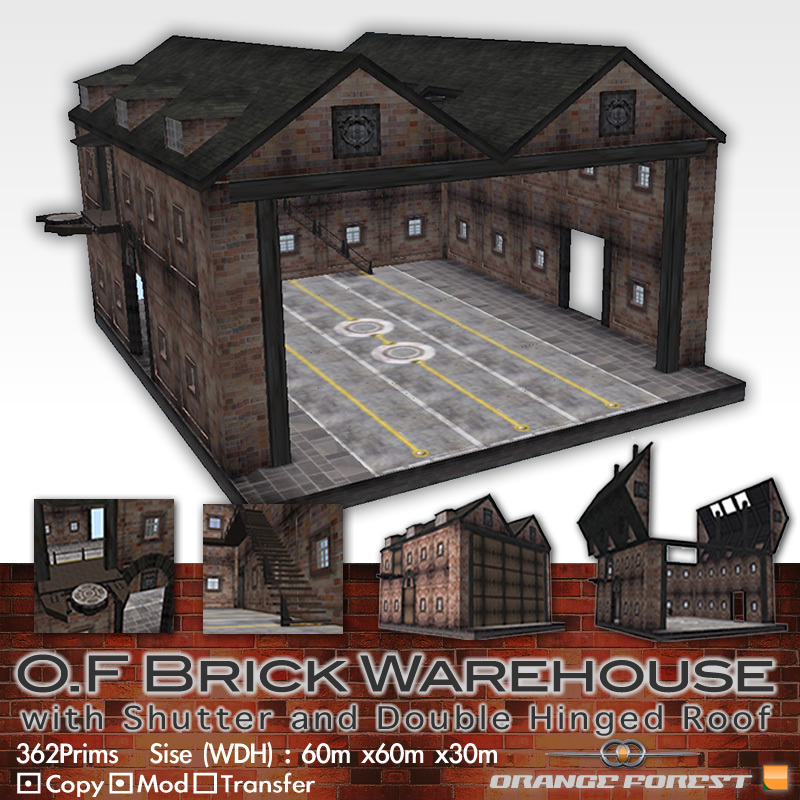 Orange Forest Brick Warehouse is a large structure with realistic brick texture and includes the several comfortable mechanism (Rezzer, Shutter, Double Hinged Roof). Prim count (Land Impact) reduced 362 to 212. Please see the following YouTube video which shows all function of this Brick Warehouse. Please refer this online manual for more detail and usage. User can open and close from dialog. User can rez and unrez sub-modules from main module via dialog operation. All sub-modules arranges itself at an appropriate location. Owner can select operator (Owner/Group/Everyone) of this Brick Warehouse via “Security” button in dialog which appears by touching the main object. Please contact to Myuse Swindlehurst if you have questions, claims or delivering problem. Click and jump to photostream in Flickr. Orange Forest announce the release of a new space ship - Sandalphon. We imagined the tall angel to this big space ship. 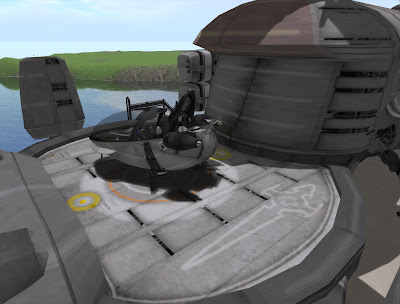 Sandalphon is a fully functional vehicle which has an ability of crossing SIMs, it also has a large residential space. 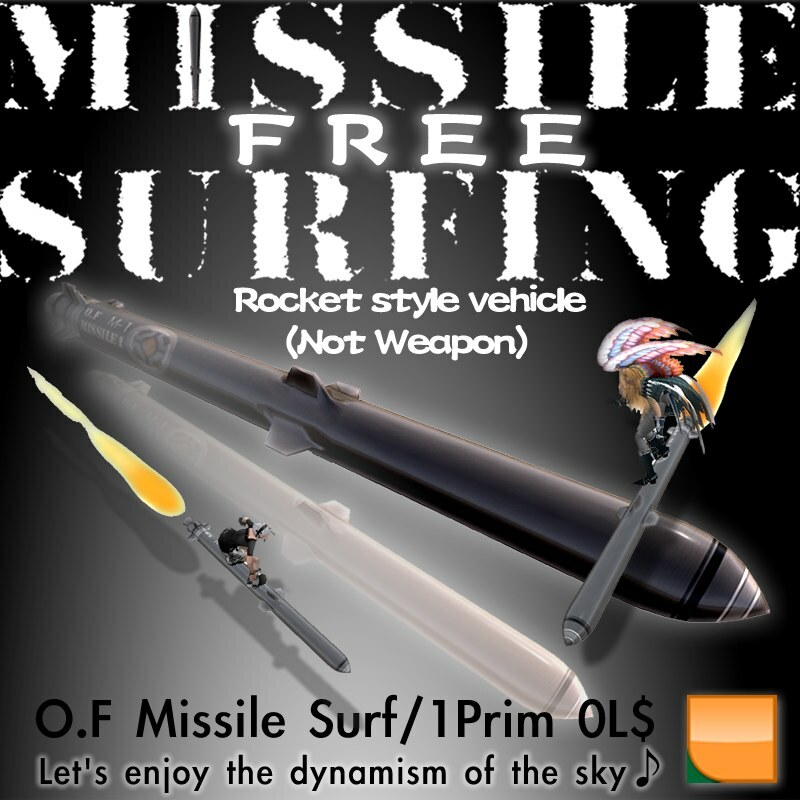 It flies to the sky with many passenger by rocket power. It can be hovered in the air by changing the angle of the main rocket engine of both sides. Added SVC-7065 workaround. Added ejecting intruder function. Changed texture/animation/sound etc. Please refer user's manual for detail. 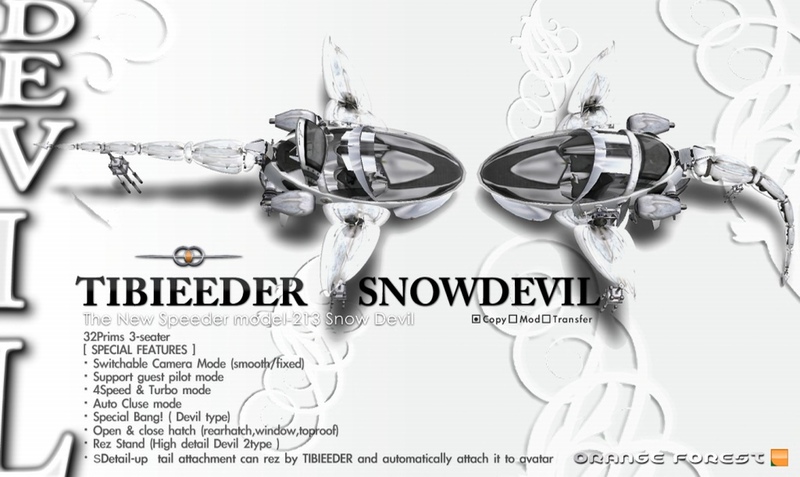 A built-in small aircraft named TIBIEEDER is on the rear deck and crew can move short distance using this transporter. 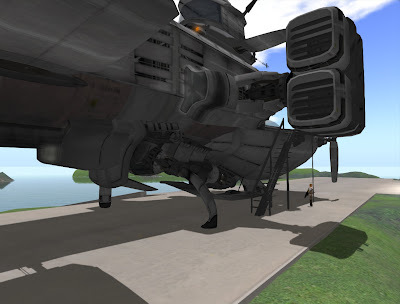 Some additional modules (Parking Stand, Furniture, Engine Ornament) besides TIBIEEDER are stored in the hull. These rez by dialog operation at the time of parking. 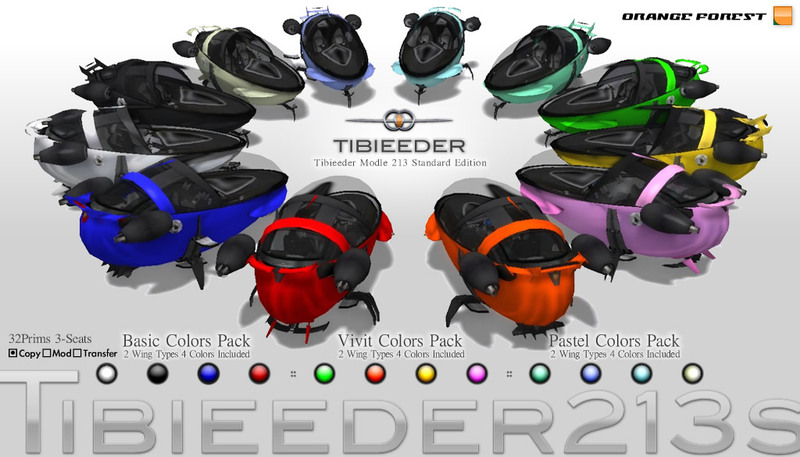 TIBIEEDER is a hover type airplane with very easy operation. TIBIEEDER carried in the Sandalphon is equivalent to Model-213S. Refer to the following links for the manual of TIBIEEDER. 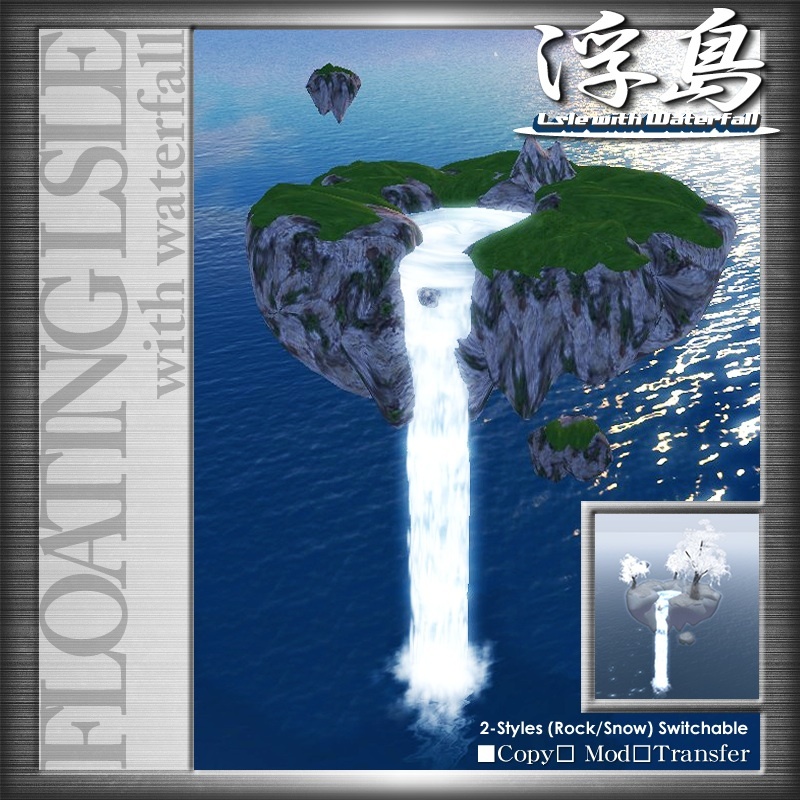 Sandalphon can fly by built-in unphysical movement script engine and it has the capability*1 to jump over the boundary of adjoining between SIM and SIM. There are four sheets which can steer a ship in a bridge. An owner and the crew can change operation of this ship manually. 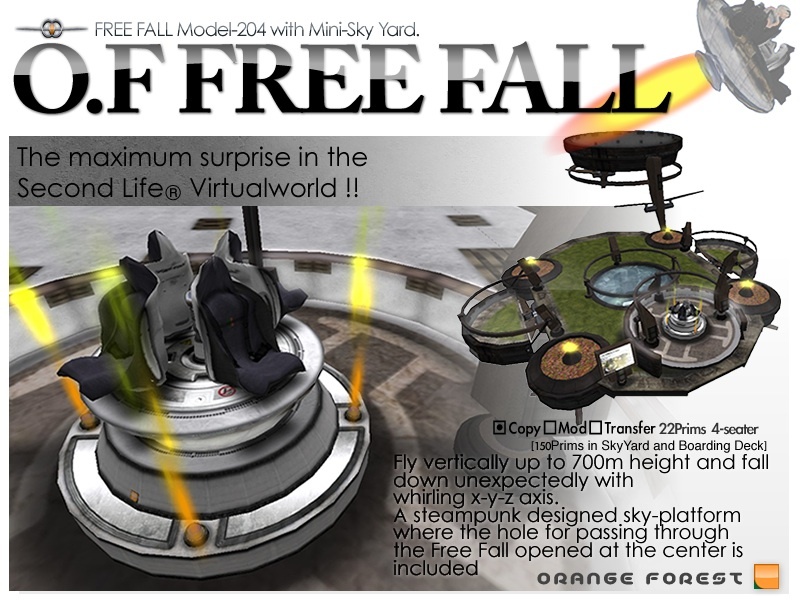 *1) Orange Forest can not guarantee a jump of every SIM boundary. &nbasp; &nbasp;It may fail by network condition, parcel security condition, script limit and SIM’s load. This section describes about function of Sandalphon. 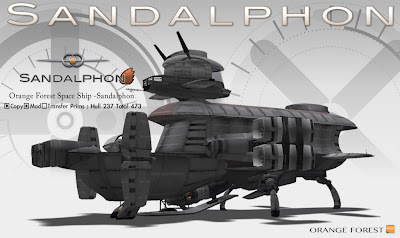 Sandalphon consists of a hull and some additional modules (Parking Stand, Machine Ornament, Cabin Furniture and TIBIEEDER). 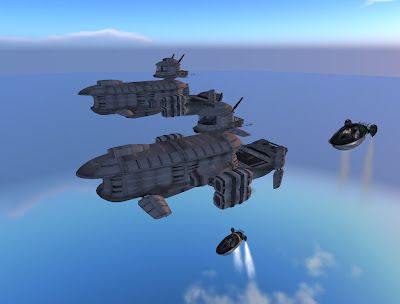 All of these additional modules can appear from a hull by operation of a dialog when the Space Ship stays on your own land or sandbox. Basically, The hull of Space Ship consists of four components (Bridge, Cabin, Rear Deck and Main Rocket Engines). 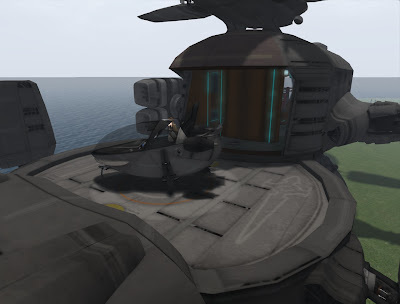 Moreover, the hull can expand an energy barrier by operation of a dialog. 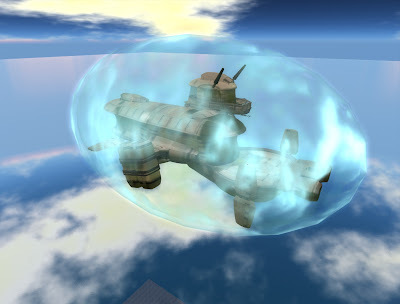 The energy barrier can shut off invasion of the avatar or vehicle from the outside. 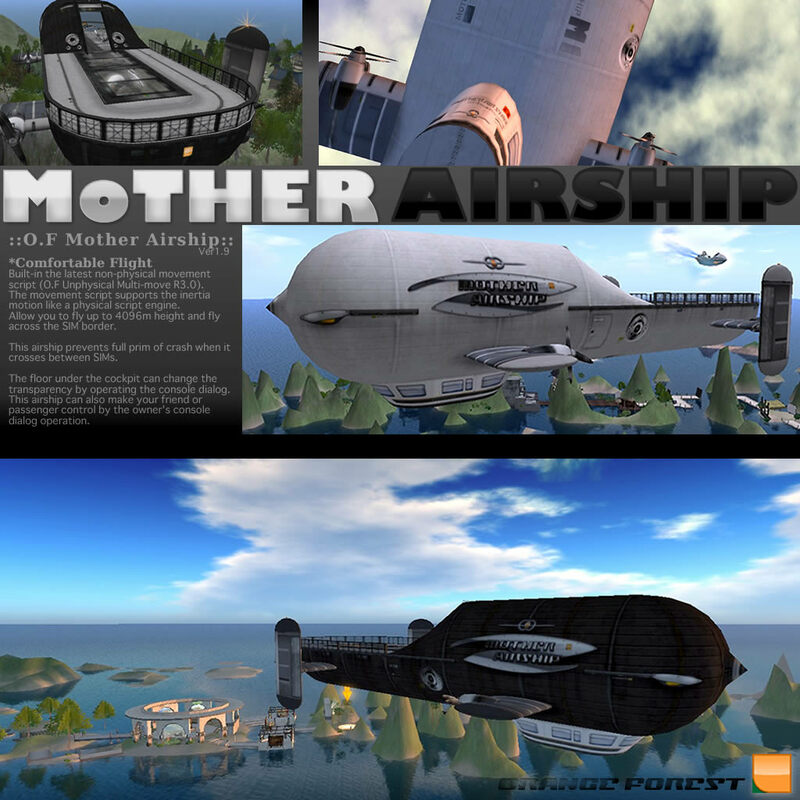 This sky ship can fly with an energy barrier expanded. 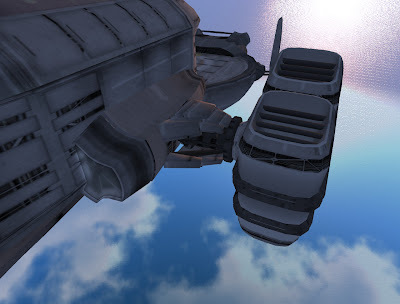 The 3 teleporters are installed in the hull , and it can move each other. The owner can specify the person who can access teleporters and hatches by operation of a dialog. There are 4 drivable seats and console in the Bridge. The pilot can touch and open the rear hatch of the bridge and enter. The owner can switch operation of Space Ship to the other crew who sat on the pilot seat by operating a dialog. A meeting spot, bar corner, and an observation lounge are located in a cabin. A crew and the passenger can touch and open the rear hatch of a cabin, and enter. 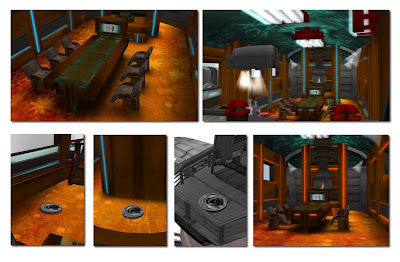 In addition, it can go into a cabin using the teleporter on the bridge. 2 room light in the ceiling and 6 wall light can operate on/off from a dialog. The color of an illuminations line changes smoothly with operations of a dialog. 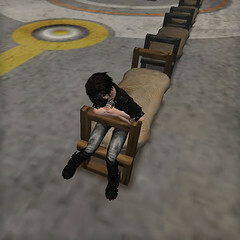 Several animation is embedded in each seat. 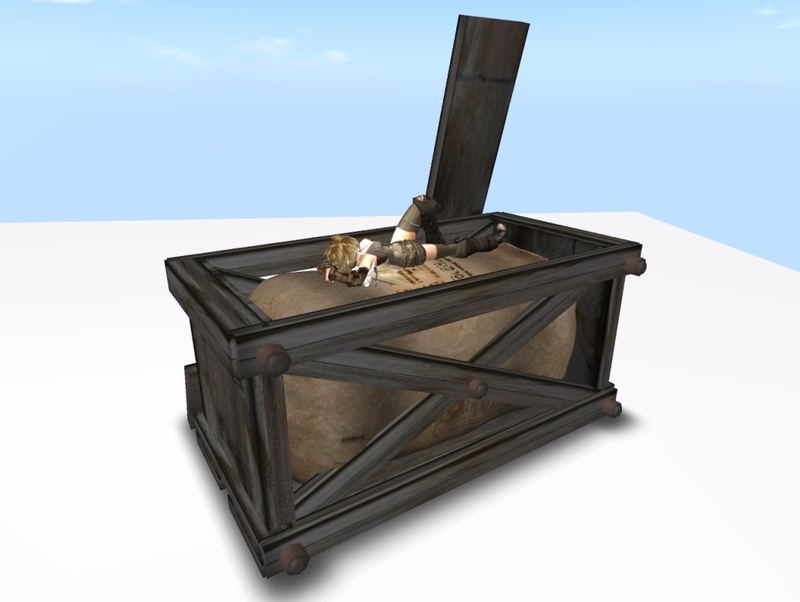 It can perform the change of animation by touching the seat prim. The fireplace is installed in the side of a meeting spot. A small TV unit will appear in the side of a meeting table when owner rez the furniture kit from dialog. An observation lounge is located in the head of a cabin. The sofa and the table are installed there and passengers can enjoy scenery at the time of a flight. 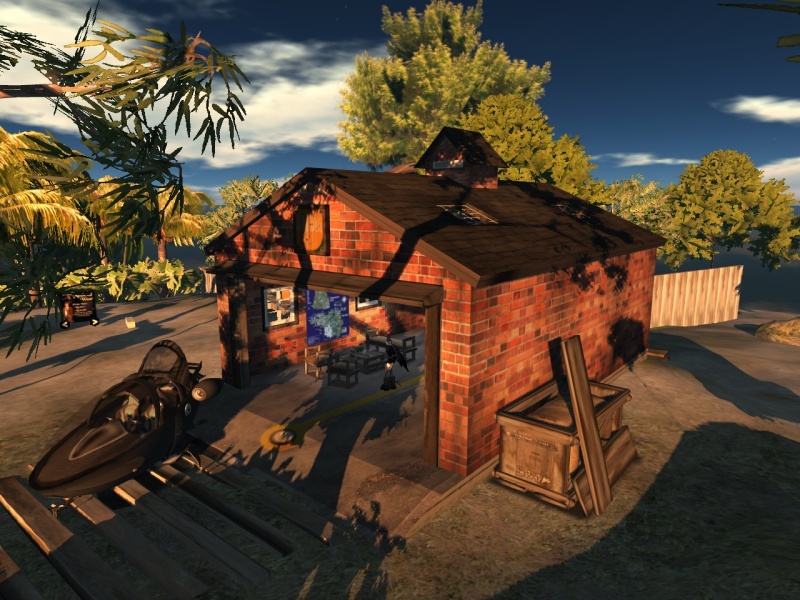 The bar corner is installed in the center of a cabin and a talk with a passenger can be enjoyed. Please sit on a stool and enjoy a cocktail drink. Please touch the cocktail glass on a bar counter and play a bartender. The open style rear deck is in the rear of a hull. 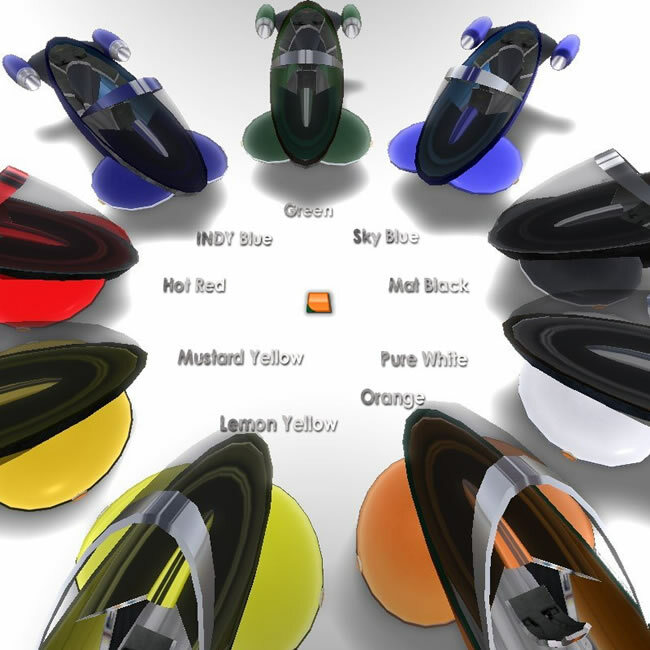 The engine hood of the rear deck can be opened and an additional engine ornament can be rez by operation of a dialog. And TIBIEEDER can appear on the rear deck by operation of a dialog as previously-mentioned. 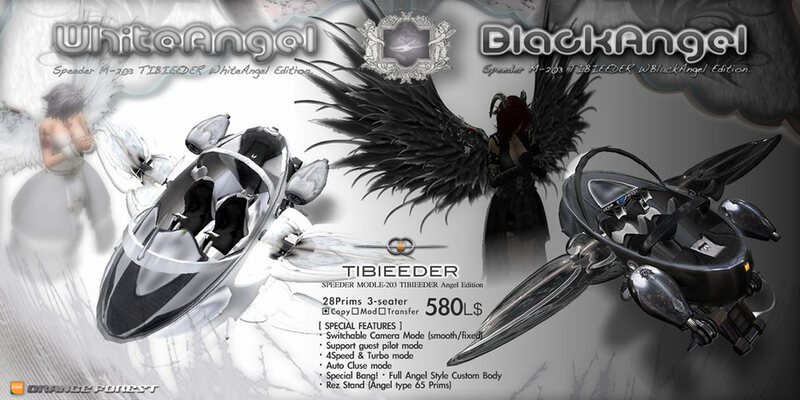 Please refer the following link of manual before flight with TIBIEEDER. Sandalphon has obtained impelling force from the Main Rocket Engine installed in both sides. This Main Rocket Engine changes an angle automatically according to a flight state. When this Space Ship hovers in the air, the Main Rocket Engine inclines almost perpendicularly and supports hull. 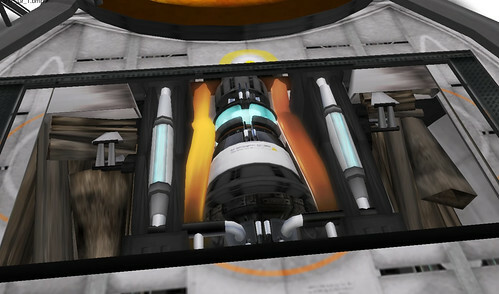 Main Rocket Engine is stopped at the time of rezzing the parking stand by operation of a dialog. The owner can operate a dialog and can rez a parking stand. A parking stand appears from the open hull lower hatch. The parking stand is equipped with the stairs for going up from the ground to the rear deck. And the fireman pole for getting down on the ground from the rear deck is equipped too. Anyone can get down on the ground by sitting on a fireman's pole. An additional modules can rez only on your land or a sand box. 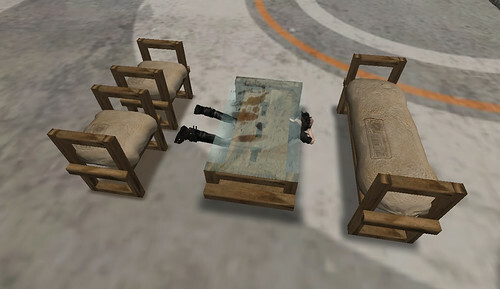 The owner can rez furniture in operation of a dialog, while it is not flying. Furniture is equipped with the piano and the television module. A television module is installed in the corner of a meeting table, and can see the Orange Forest's blog. 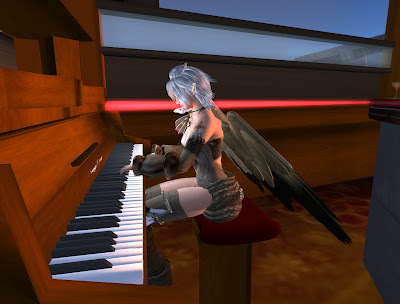 Anyone can sit on the seat of a piano and can play multiple Orange Forest original melody. Please modify Space Ship object at your own risk if you want. Please refer the Users Guide for operating Sandalphon. Please send IM to Myuse Swindlwhurst if you have a question, claim and etc about Sandalphon. 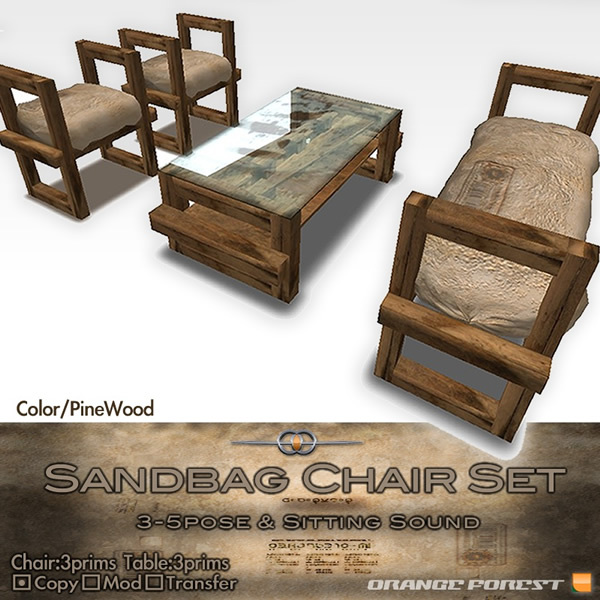 Hello, Orange Forest released a new product "Sandbag Chair Set". 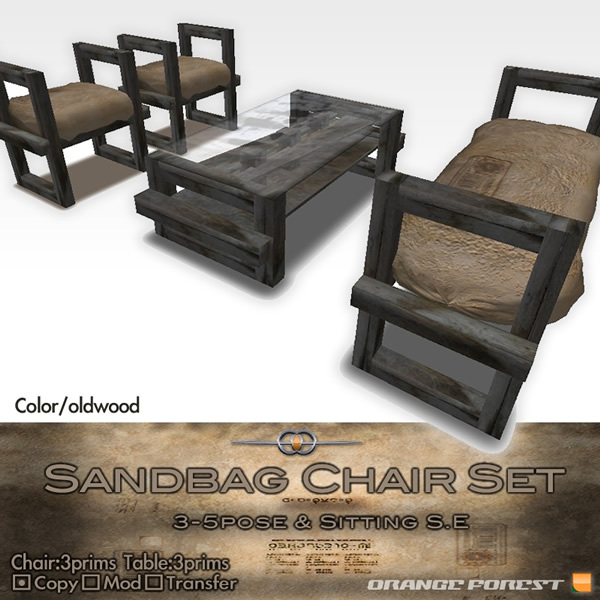 Low price, Low prim and realistic detail with sitting sound and multiple animations. This chair assumes the both of outdoor and indoor use. Please visit Orange Forest Seaside Square and rest at there. We hope you have a nice time with Orange Forest's product. Please IM to "Myuse Swindlehurst" if you have something question or if you detect the delivering problem. Thank you !! 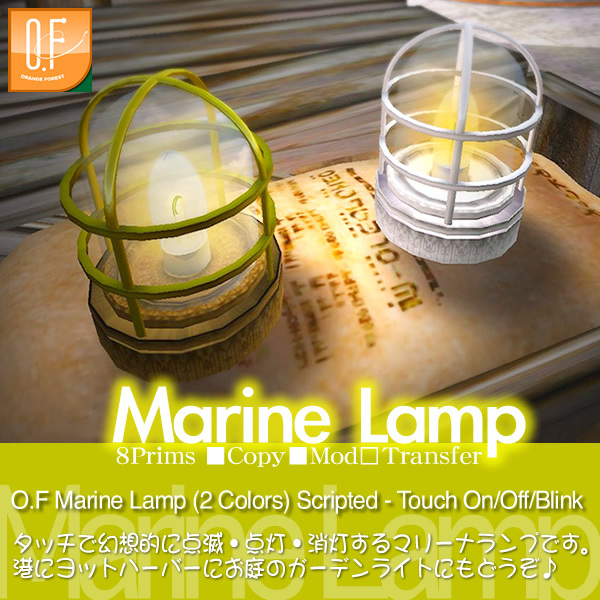 Today, Orange Forest released a new Marine Lamp. This product includes 2 colors of lamps. 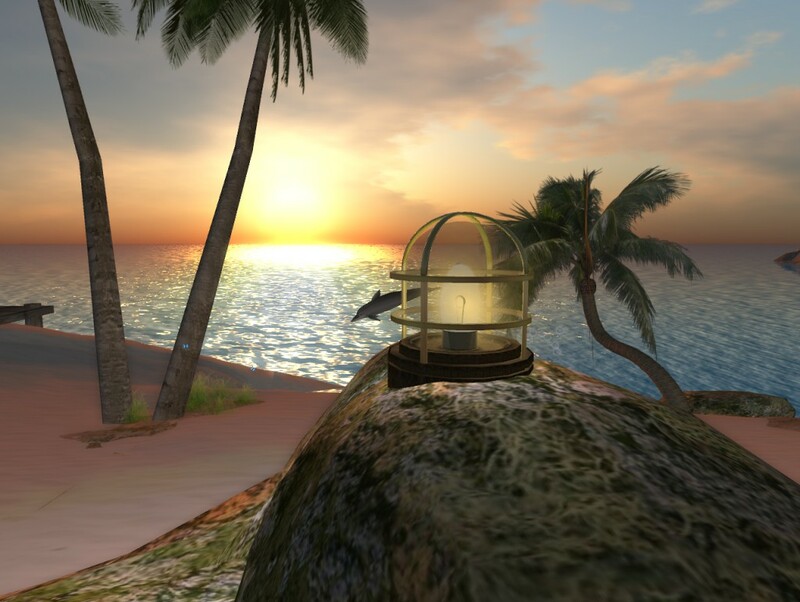 Each lamp consists of 8 prims. Owner can copy and resize these lamps. This lamp has the lighting control script and owner can switch Blink/ON/Off by touching it. Switchable ON/Off/Blink lighting by owner's touch. A marine lamp is packed in the wood box and delivered to you. This wood box has pose script and you can use this wood box as a garden accent too. Please IM to Myuse Swindlehurst if you have an old version and want to get a new version. Please enjoy !! Thank you. http://orangeforest.blog.shinobi.jp/product%20info/the%20new%20marine%20lamp%20now%20in%20store%20--The new Marine Lamp now in store ! !